Most of our work is from recommendations. This is just a small selection of sites designed and maintained by us, to give you an idea of what we can do. We handle small sites with only a single page to large corporate sites with over 10,000 pages. 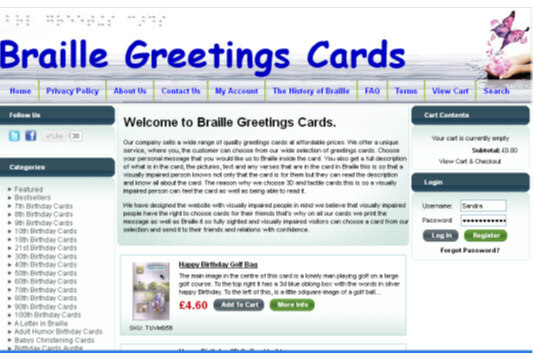 The principle of this website is for fully sighted and viually impaired visitors to buy cards and have them brailed or printed Full Ecart. For 150 years, Steinway has been dedicated to the ideal of making the finest pianos in the world. 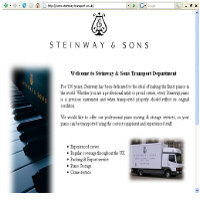 We would like to offer our professional piano moving and storage services, so your Steinway piano can be transported using the correct equipment and experienced staff. 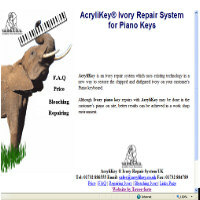 The oldest and one of the most prestigious piano companies in the world. This is fourth site we have done for them. 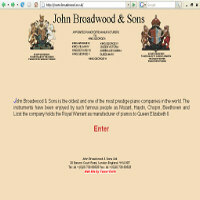 A piano parts catalogue, the site has just under 300 pages. 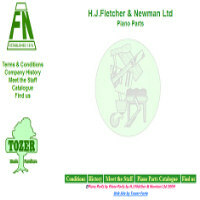 We took their current catalogue, which was in black and white, and converted it to the company colours. The site has a search facility, protected areas, and some flash movies. 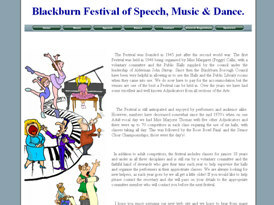 The site also has a sister site feeding it to the piano stools part. 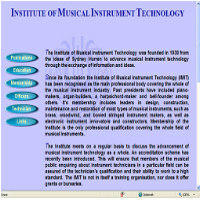 This is the second site we have done for the Institute of Musical Instrument Technology. This site has seven pages. This site has 14 pages. 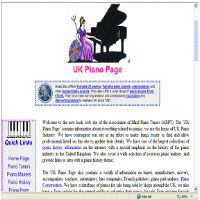 Europe's largest piano website has over 30,000 pages of information and gets over two million visitors a year. The site has seven databases. This site has had four makeovers in eleven years. Clients we have done websites for in the past.